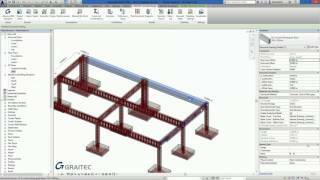 GRAITEC Reinforced Concrete BIM Designers embed advanced industry-specific intelligence into Revit enabling the design, creation and documentation production of 3D reinforcement cages for concrete frame structures to be fully automated. Complete with US (ACI), Canadian (CSA) and European (EC) design codes, and supplied with numerous country specific Revit Families and Revit Templates, the Reinforced Concrete BIM Designers are extremely flexible and can be applied at any stage of the design process, from configuring 3D cages of single elements - based on user and country preferences, to forming part of a fully connected BIM workflow and automating design-to-documentation of 3D cages to international design codes and detailing standards. If you are looking to create 3D reinforcement in Revit the Reinforced Concrete BIM Designers are an effective scalable solution that can support any workflow, at any stage, saving immeasurable time. 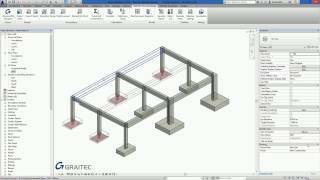 Simple 3D Rebar cage configurator to save time creating rebar cages for concrete frames in Revit. 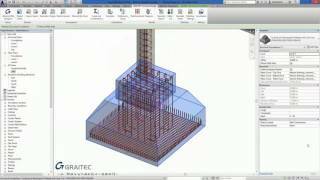 3D Rebar generation of all concrete frame elements based on default preferences (ideal for estimating). Enter loads manually to instantly calculate and generate required 3D reinforcement for concrete frames in Revit. Use FEM results imported from Engineer to automatically design and calculate required 3D reinforcement in Revit. Single elements can be redesigned independently by engineer (in standalone mode) and re-synced with Revit model. Fully automated documentation creation (views, sections, elevations, drawing sheets & schedules) in Revit. This is a 5-day trial of the Standalone version. Visit the product web page for more information. Note: This product uses a custom installer (and not the standard App Store installer).